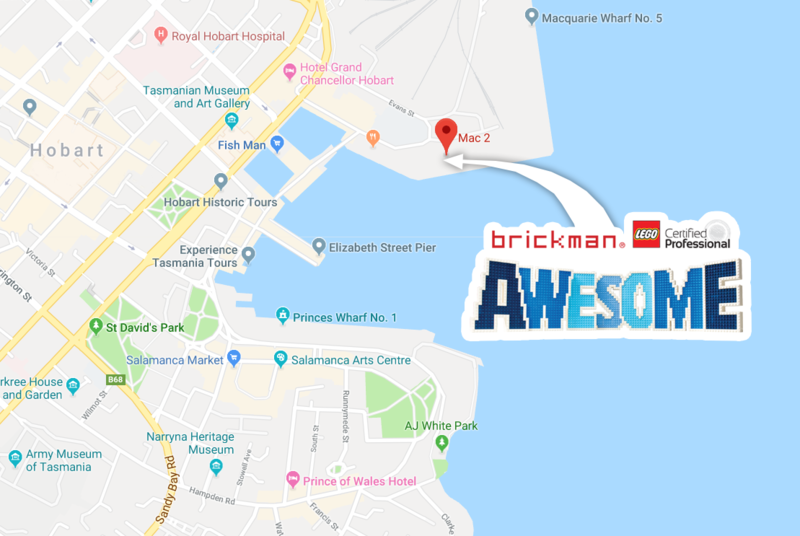 Hobart’s Macquarie Wharf 2, or MAC2, has just undergone a fantastic upgrade and is one of Hobart’s newest venues, located close to Hobart’s CBD and harbour. The Box Office will open from 10am daily with the first session commencing at 10am Monday to Sunday. Exhibition entry normally closes at 3pm with the exhibition closing at 4pm, but closing times may vary so please check Ticketek for open hours information and any updates to sessions. There is parking available at the nearby Macquarie Point Development as well as plenty of nearby street parking. What are the transport options? Session times – how long can we stay in session? We recommend 60-90 minutes to experience the exhibition however you’re welcome to stay, admire and play for as long as you’d like. Yes, tickets will be available however we strongly encourage you to buy tickets before you arrive so ensure you can secure tickets for your preferred session time. We cannot guarantee that tickets will be available for all sessions at the door. Are we able to take photographs? Most definitely, although we would ask for no commercial photography. Will Ryan be at the event? Unfortunately Ryan’s busy schedule means he will unlikely to be at the show beyond a few sponsor events. I purchased tickets online – do I need a copy of the paper ticket to gain entry? Please have a version of your e ticket on your phone or a hardcopy on arrival. From what age will children be charged for entry? If I buy a family pass can it be used for 1 adult and 3 children? Do senior cards qualify for discounts? What is the age limit for children’s tickets? 16 and under. Children aged 16 and under must be accompanied by an adult within the exhibition. Is food and drinks allowed? Food and drink are not allowed in the exhibition. Is there an area to leave personal belongings? There are several ATMs situated nearby in Hobart CBD. All entryways to MAC2 are wheelchair accessible.